BRUT SELECTION is a perfect Champagne to start to appreciate the Vintage wines. 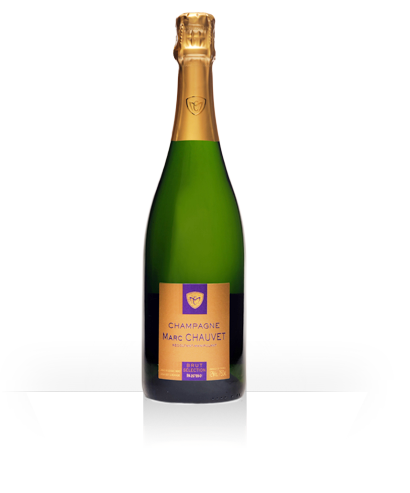 More portly and less fruity than the BRUT TRADITION, it is a wine of character that has a good length in the mouth. Blend : Equivalent of Chardonnay and Pinot Noir, a touch of Meunier all from the terroir of Rilly la Montagne, 1er cru. The year : 85% of the SELECTION comes from the 2014 harvest with 15% reserve wine from 2013. 3 years bottle ageing on lees. Nose : subtle blend of floral and mineral. Mouth : bright, structured, mineral and powerful wine on the palate. Food/Wine : this Champagne perfectly accompanies seafood and/or fish with herbs. I am committed to the expression of good structure and vivacity in the BRUT SELECTION with a certain mouth length, close to that of our vintage Champagnes.